Interviews with your favorite writers! We ask authors questions and sometimes they reply back! This week our featured author is critically acclaimed, award-winning writer Guy Gavriel Kay, author of the soon-to-be released novel Ysabel, and many other historical fantasies including The Last Light of the Sun and Tigana. A big thanks and welcome to Mr. Kay! 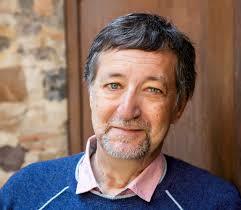 Read Guy Gavriel Kay guest blog for us! This week our guest is World Fantasy Award winning author Dr. Zoran Živković. Publishers in the UK and USA have snapped up Živković’s stories, written in his native Serbian, in English translation at an ever-increasing rate as his literary star has risen. His work has been compared to that of Calvino and Borges and has received praise from such notable authors as Jeff Vandermeer and Michael Moorcock. His tightly written novels and collections, beginning with The Fourth Circle and continuing to such recent publications as Seven Touches of Music and Twelve Collections and The Teashop, combine modern characters with fantastic, sometimes absurd situations, that reward careful reading but do not demand a single interpretation. His fiction often weaves a connected whole out of many seemingly separate parts—which, come to think of it, is precisely what an interview attempts to do as well. Aaron Dembski-Bowden is a new author for The Black Library, Games Workshop’s publishing arm. Though only three novels into his Black Library writing career, he has fast developed a devoted following of both die-hard Warhammer 40K fans and people only recently brought into the fold. His radical approach to writing and his outspoken and uncensored view of both the 40K world and the challenges of writing within it have sparked discussion and controversy in equal measure. Check out Aaron Dembski-Bowden guest blog about 40k! Joe Abercrombie is the author of the First Law trilogy and Best Served Cold. I have been a fan since the first book in the First Law found me in a bookstore, so I was very excited to ask him a few questions. We talk shop on everything from doing research for fantasy books to the inspiration behind his next book to his favorite curse word and more. Mark Charan Newton is an urban fantasy author who’s currently two novels into his writing career and, judging by the sheer tonnage of critical acclaim which now includes a place in Library Journal’s top 5 best SF/F of 2010, is only just getting warmed up. For those of you already familiar with his work, Nights of Villjamur and City of Ruin, I suspect he needs no introduction…but I’m going to do it anyway. For me this is the interview to end all interviews. It’s not often one gets to interview a personal hero; I suspect this is mostly because heroes don’t enjoy mopping up fanboy drool, and frankly, who can blame them? This is going to be a little different from my other interviews, because while the others have been with relatively new talent, Dan Abnett has been writing for around 27 years and has done everything, and I do mean everything, from Marvel comics to Mr. Men, as well as a phenomenal novel set in a world of his own creation. A couple weeks ago I had the pleasure of speaking with Jessica Bendinger, screen writer, director, and now author. Her best-known work, at least in my age demographic, is writing Bring It On. Jessica also wrote and directed Stick It, with Missy Peregrim and Jeff Bridges, and last December she published her first novel with Simon & Schuster, titled The Seven Rays. It’s a young adult caper into karma and destiny and love and teenage hilarity, and I got the scoop on her inspirations, intentions, and more in our conversation…which you can read below! Stefan Petrucha has written over 20 novels and hundreds of graphic novels. He has appeared on the A&E television series Paranormal State, and teaches online classes at the University of Massachusetts. I have obtained degrees from numerous colleges & universities both Major and Minor, with an emphasis on all of the Various & Sundry schools of Thought & Discipline. I majored in Rhetoric at the University of Illinois, obtained a Master’s degree in English at Arizona State University In Tempe, AZ., and another Master’s in Secondary Education at UALR, in Little Rock, AR. Then, there are the years I spent with the Swedish Bikini Team, touring throughout Europe…fond memories, those…especially that time in Amsterdam…. Lynn Kurland is the author of the Nine Kingdoms romantic fantasy series, as well as a best-selling romance author. For all my love of dark, bloodspurting, knights who say–er, frak–fantasy, I also love the lighter side of fairy-tale, love-story high fantasy, so this series fits right in to one of my reading sweet spots. I enjoyed the chance to ask Lynn some questions about how this series came about, what’s been most different for her in switching between genres, how far the story might go, and more. Keep reading to find out what she had to say! You can check out reviews of Lynn Kurland books as well. Justin Isis. He’s like Jonathan Franzen if Jonathan Franzen was better looking and could write. Like Paul Leppin meets Kawabata in an empty brothel with cold tile floors. His just-published book, I Wonder What Human Flesh Tastes Like, is plastic romance at its best—something sure to cause anger and distress and be gripped by lonely housewives at 2 a.m. while their husbands are in the backyard digging holes. This is neo-decadence for the unincarcerated—the book that will keep you up at night until your lips grow numb mouthing the words. So, cover your cheeks with glitter, paint a big pink heart on your depilated chest and read the following interview, because the price of food has just gone up again. Brendan Connell’s newest books are Metrophilias (Better Non Sequitur, 2010), and Unpleasant Tales (Eibonvale Press, 201Brendan 0). He has forthcoming books from Chômu Press and PS Publishing. Sharon Shinn is the author of nearly two dozen fantasy novels, including the bestselling Twelve Houses and Samaria series. She has won the William C. Crawford Award for Outstanding New Fantasy Writer and was twice nominated for the John W. Campbell Award for Best New Writer. *editors note – below I’ve combined 2 separate interviews we conducted with Sharon Shinn and put them in one easy to read location. You can also read reviews of many of Shinn’s novels discussed below. Shana Abé is a bestselling author normally found in the Romance section, but whose latest books are fantasy (or at least fairy tale) crossovers. She’s also a personal favorite of mine–verify on our favorites page, if you doubt–and has just finished up her fabulous historical-fiction shapeshifter series that started with 2006’s The Smoke Thief and continued through five books to last month’s The Time Weaver. I was beyond pleased when she agreed to an interview and completed my trifecta of conversations with my favorite writers. Robert Freeman Wexler’s latest novel is The Painting And The City, out from PS Publishing, and it was recently named one of the top 10 science fiction novels of 2009 by Booklist. He has also published a novella, In Springdale Town, (PS Publishing 2003 and reprinted in Best Short Novels 2004, SFBC, and in Modern Greats of Science Fiction, iBooks), a novel, Circus Of The Grand Design (Prime Books 2004), and a chapbook of short fiction, Psychological Methods To Sell Should Be Destroyed (Spilt Milk Press/Electric Velocipede 2008). The following interview was conducted by Brendan Connell via Skype and e-mail during the month of June, 2010. 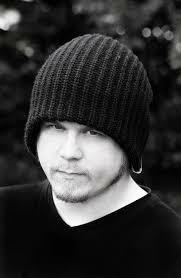 We are pleased that Kit Reed, the author of Enclave, has agreed to be interviewed for us. 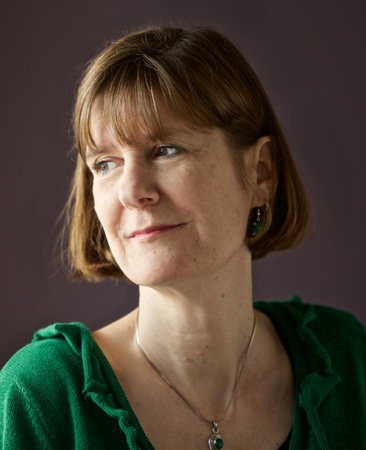 She is also the author of many other books, many of which are mentioned in this interview, like The Midnight Children, Thinner Than Thou, The Baby Merchant, and the prestigious Tiptree finalist collection of stories, Seven for the Apocalypse. She has also been nominated for the World Fantasy Award. Adam Rex is an amazingly talented children’s illustrator, as well as being an author of both children’s and YA novels. I had the pleasure of meeting him in person last month at BEA, and I made sure to line him up for an interview later before we parted ways. His new novel, Fat Vampire, is due out next month, and it ‘s not your typical vampire novel. Nor is it your typical coming of age novel. Here I’ve got Adam talking about his inspiration for the story, his influences as a writer, his view of what it would be like to live forever (hint: it’s not all sunshine and roses), and much more. Sink your teeth in and enjoy!